Now that I’m 25 weeks into my pregnancy, I’ve been learning a lot about my skin particularly as it has changed so much over the past few months. I’ve always been very lucky in that I don’t get a lot of spots or breakouts, and my skin has always been more dry than oily. 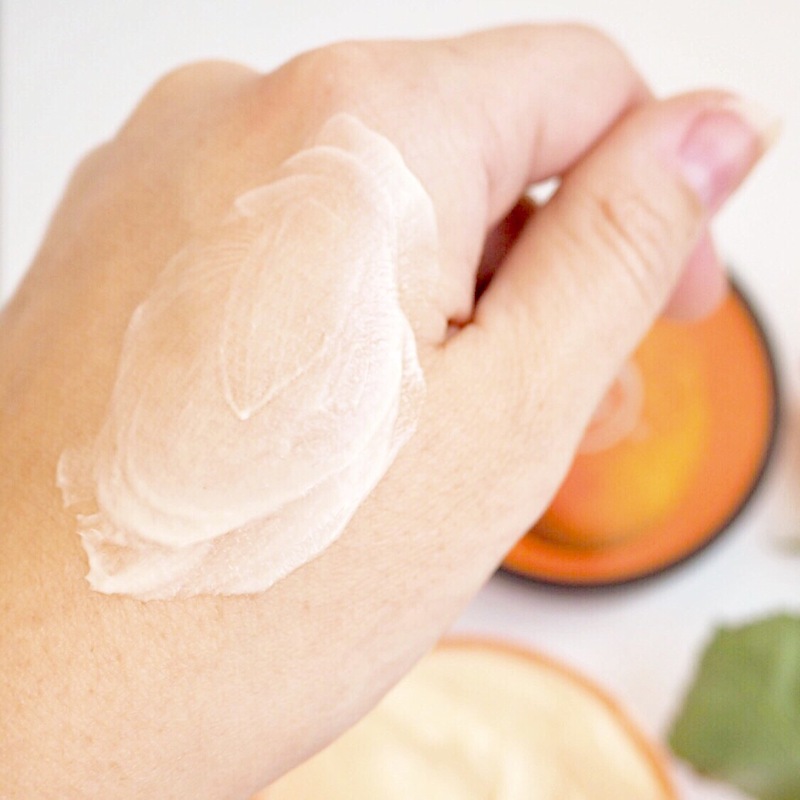 However, when I became pregnant, like most people, I had to completely change my skincare routine as a lot of the ingredients in the products I’d been using up to then, aren’t pregnancy friendly. 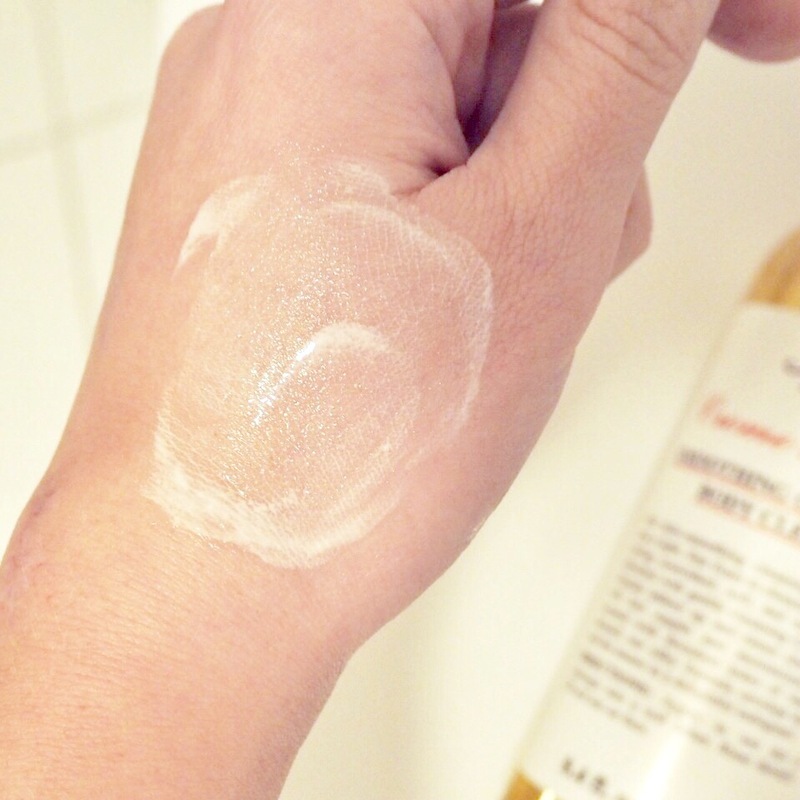 As a result, my skin became dryer than ever and not only did I have to change my face routine, but also had to find some new products to use on my body too. I don’t know about you, but I found pregnancy skincare a complete minefield when I began researching what I could and couldn’t use. I knew what ingredients to steer clear of, but I couldn’t find a good comprehensive list of products or brands that are recommended to be good for pregnancy skin. 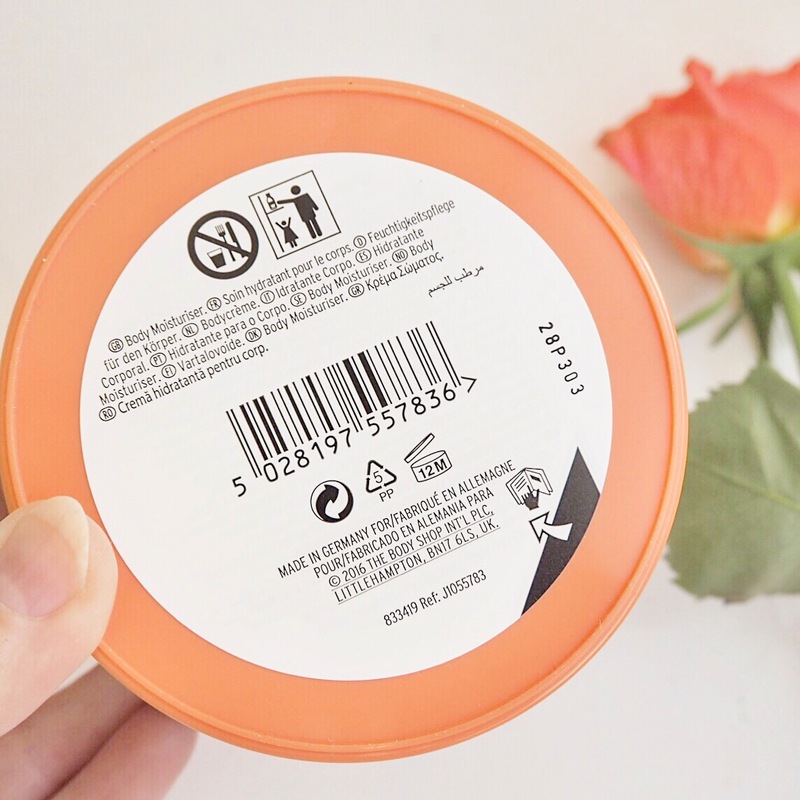 Anyway, because of that, I’ve decided to share the products I’ve been using for the past few months, in the hope that if you’re also trying to find your way through the minefield, it might help you out! 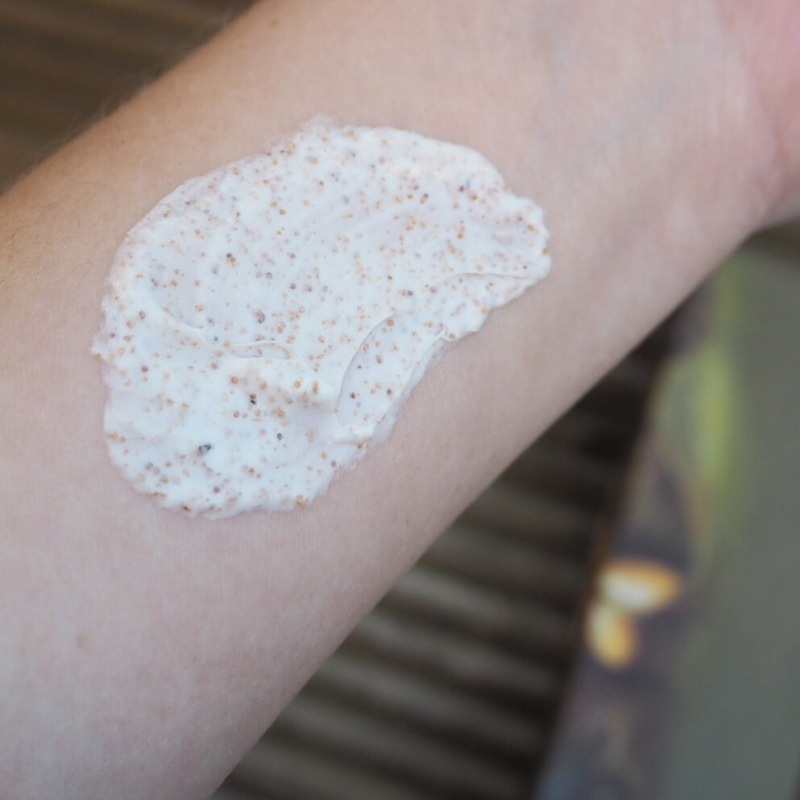 I’ve broken my skincare routine in two blog posts; the first, today’s post will focus on body products, and my second post which will follow shortly, will focus on my face products. I don’t know about all you Mummies and pregnant gals, but I honestly can’t believe how much my skin has changed. I know everyone tells you to expect it, but I wasn’t prepared for the sandpaper-like dryness that I’ve been having. Granted, my skin is much better now and feels more like itself again, but it has taken me months of trialing and testing a mix off different products from scrubs, to oils, to creams, to finally come to a happy place with what I’m using. I’m not an expert on skincare by any means, but these are just some products that have worked for me and helped to keep my skin smooth and hydrated as it goes through a million different changes. I’ve always been a fan of body scrubs and exfoliating my skin, but I usually would have only exfoliated every week to two weeks. Recently however, I’m exfoliating at least twice a week, sometimes more, and I found some of the products I previously have used, weren’t cutting it for me anymore. 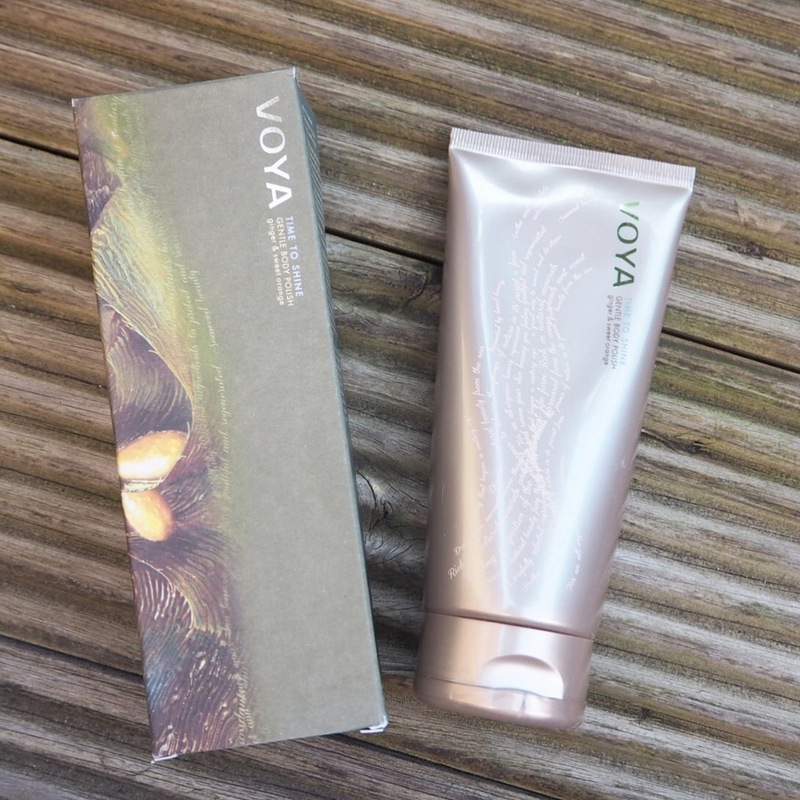 Voya is a brand I’ve always really liked, their ingredients are organic and very natural so when I spotted this body scrub over the Summer I decided to try it out and see if it would do the trick for my coarse, dry skin. 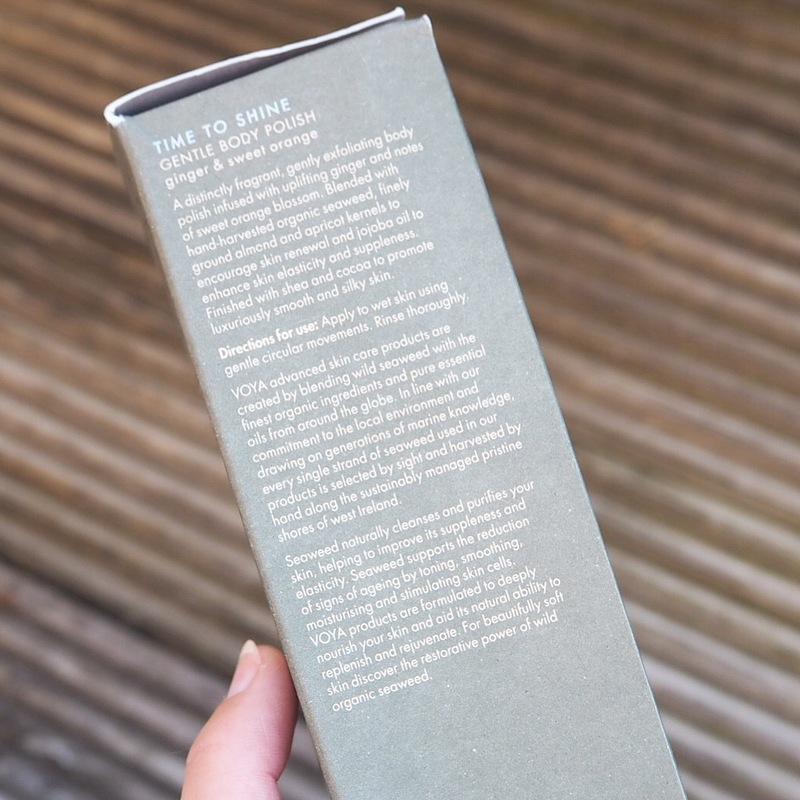 I started using it a few months ago, and not only does it help to lift all the dry dead skin cells, but the mix of seaweed, ground walnut shells and almond oil combine to buff and polish the skin, as well as leaving it feeling nourished and hydrated too. After only using this for a few weeks I was totally hooked and it’s now firmly part of my shower routine during the week. I already loved their hand wash and spa products, but I’m so glad I’ve discovered this now too because it’s definitely going to be a staple product in my bathroom for a long time to come. 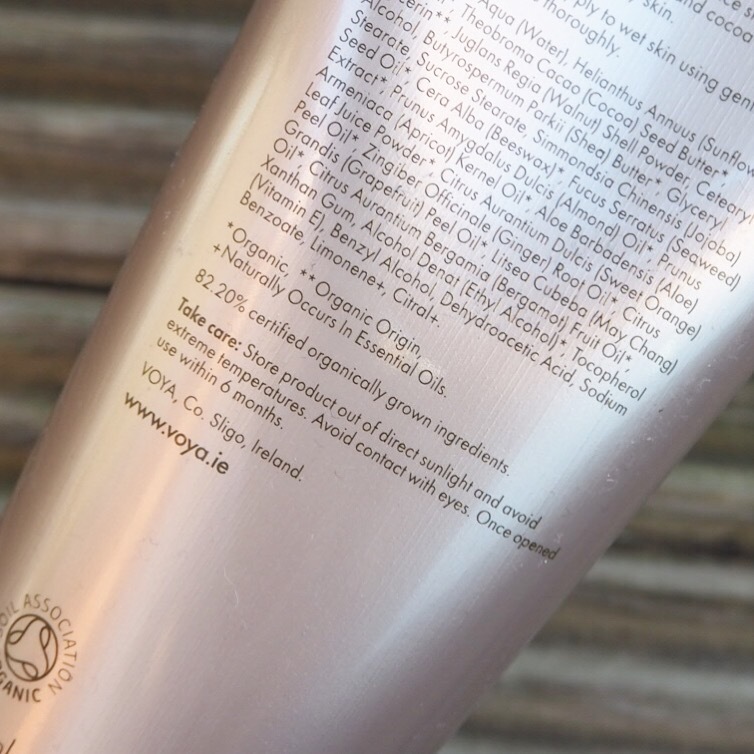 I paid €30 for this bottle in Avoca, but it’s also available from Kilkenny Design and online from the Voya website too. 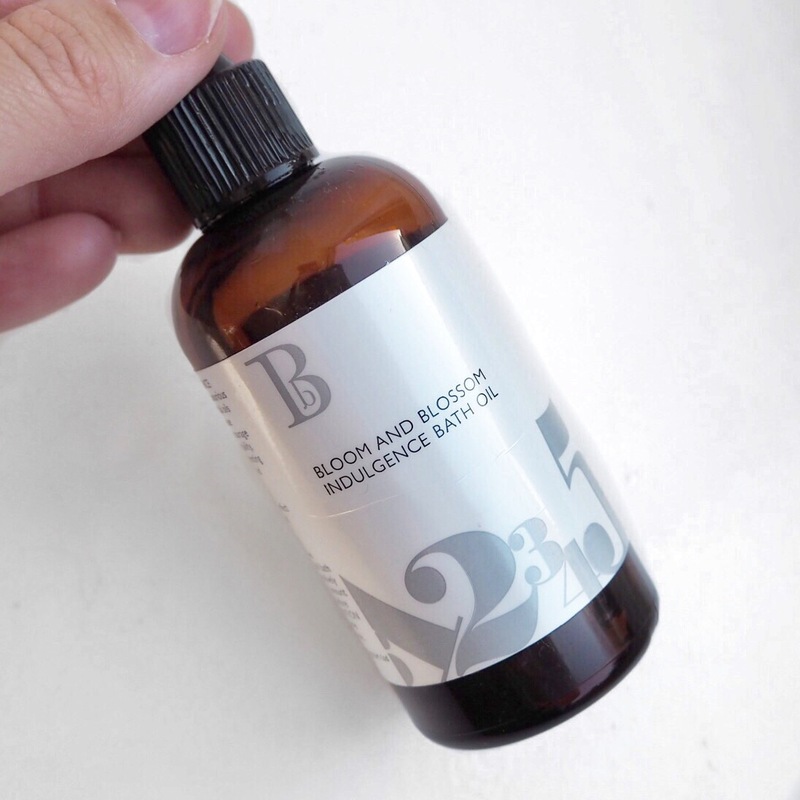 Bloom & Blossom is a pregnancy skincare brand created by two sisters in the UK. Strangely enough, although it is my first time pregnant, I had already tried this bath oil a few years ago when my cousin gave it to me as a gift. I’ve always loved baths, but what used to be a soak every couple of weeks, has now turned into every couple of days. So, when my trusty Jo Malone favourite bath oil ran out, this sprung to mind and I decided to buy a bottle to see if it was as good as I remembered. The short answer is, yes it is! Now, they recommend using one to two capfuls per bath, but I tend to use three just because of how dry my skin is, and that definitely does the trick. 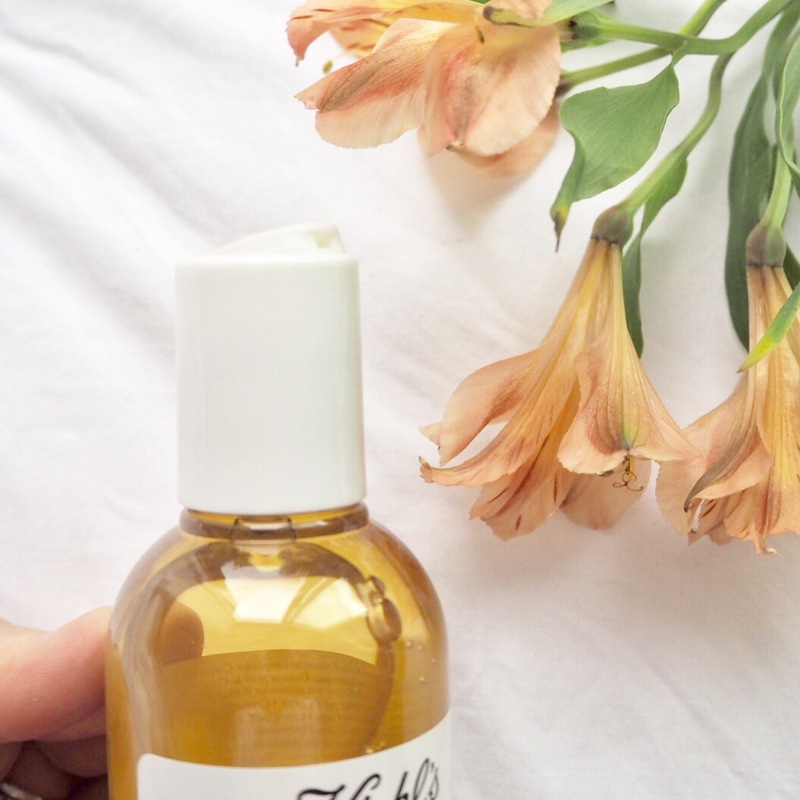 The ingredients in this oil are just incredible; a mix of sweet almond, lavender, apricot and ylang ylang essential oils, not only make this smell divine, but makes your skin feel as smooth as a baby’s bottom too! They are also amazing for relieving stress and tension, and helping me relax and unwind after a stressful day at work. 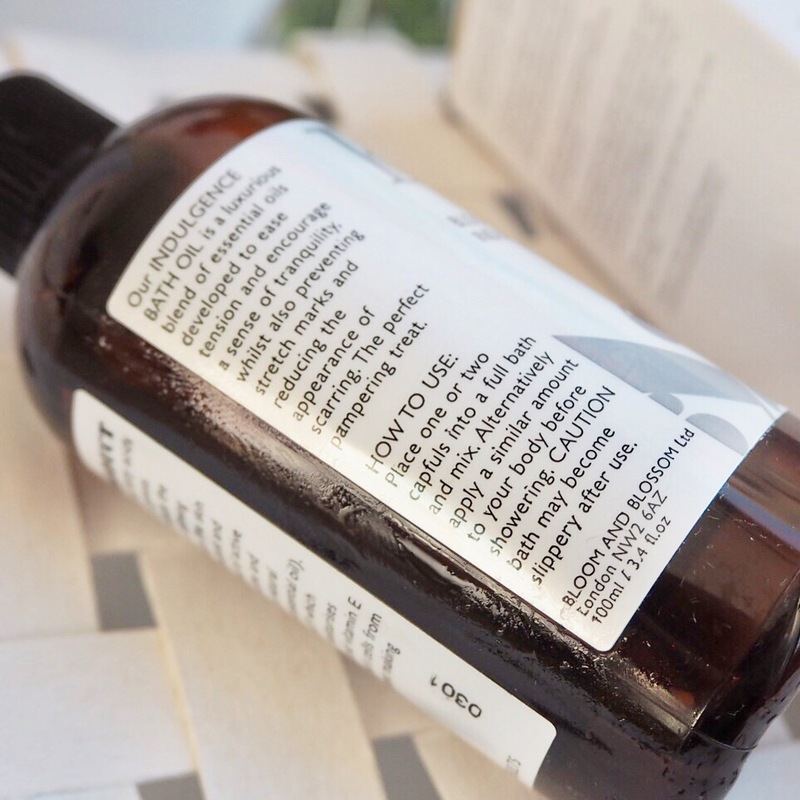 I’ve also been having quite a bit of back pain recently with my growing bump, and there is literally nothing nicer than a warm bath soak with this oil to help relieve that too. I really love it and definitely recommend. The only downside for me is that the bottle is quite small; it’s just 100ml so it doesn’t last very long. In saying that, I do use a little more than what they suggest so if you stuck to the recommended amount, it would definitely last longer. 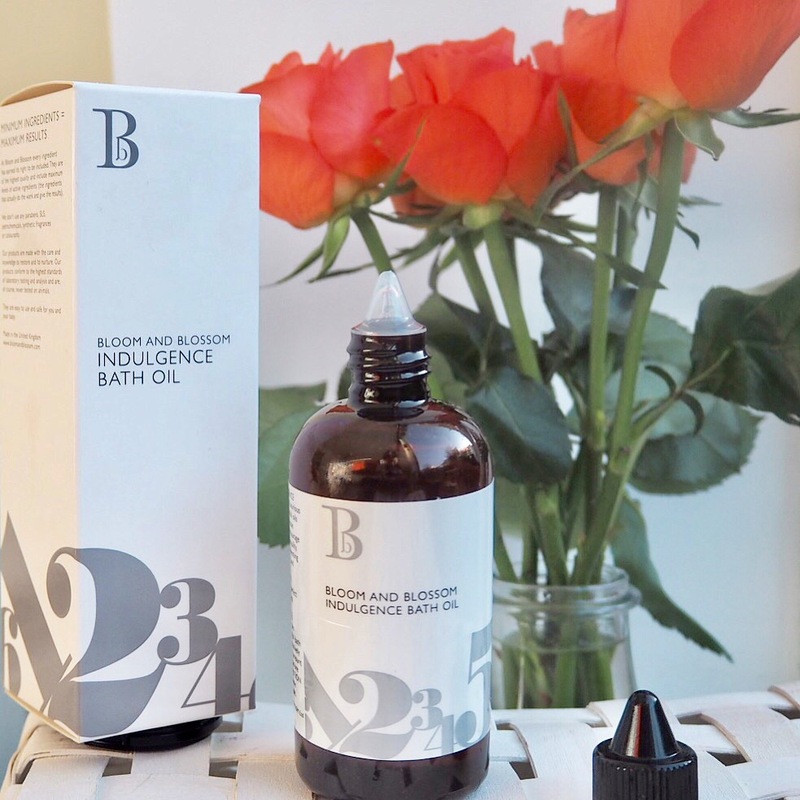 I buy mine in Mamas & Papas and the 100ml bottle costs €24 which honestly is a very good price in my opinion, considering other bath oils on the market. 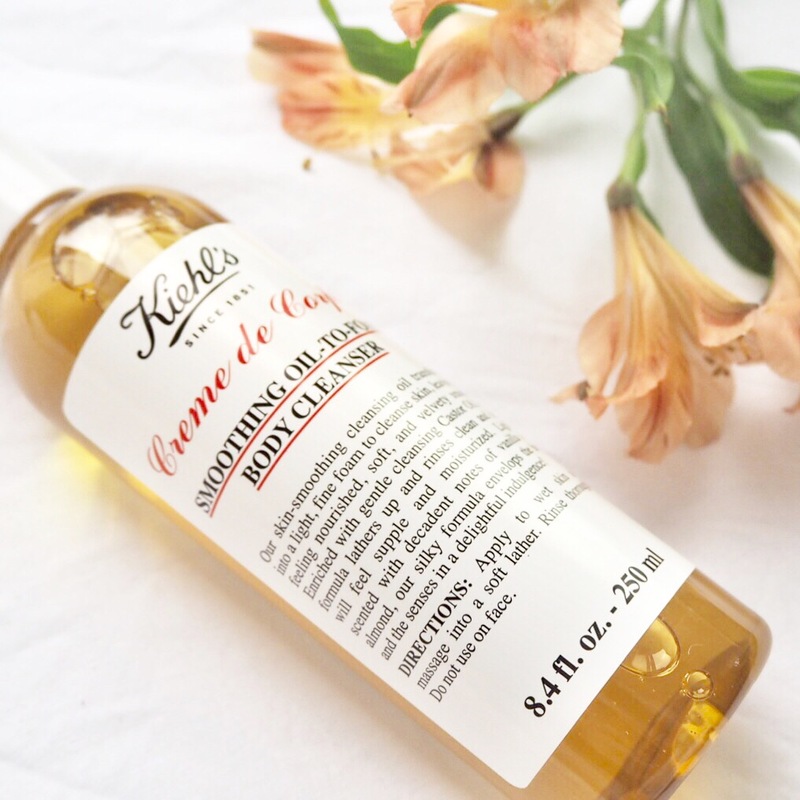 I first heard about this new shower cleanser from Kiehl’s back in August when I read a review about how good it was for pregnancy skin. I was on the hunt for it for weeks until I finally discovered that it hadn’t yet been released in Ireland. Thankfully however, it got released here on 4th October so I ran to the shop to buy it and have been using it religiously ever since. 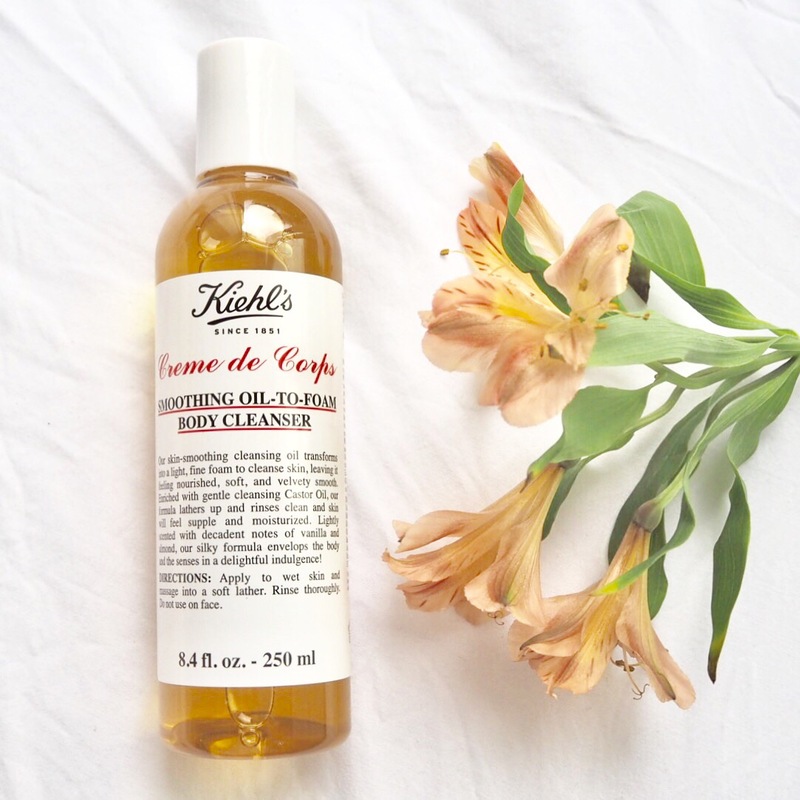 The cleanser is part of the Creme de Corps range which I loved already, so I had high hopes for it and honestly, it has totally exceeded them. 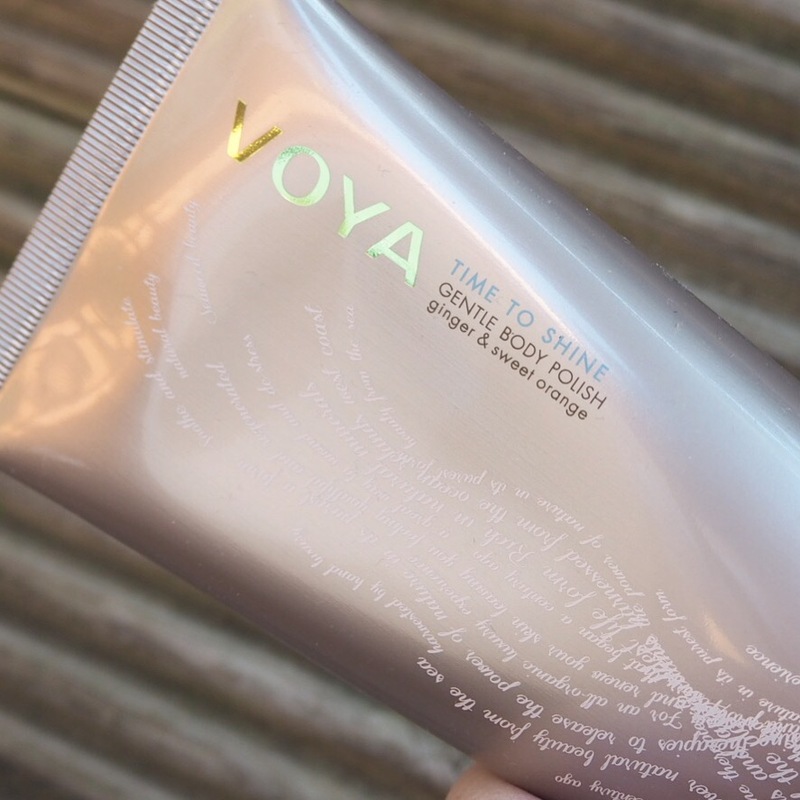 When I say this cleanser is luxurious, I mean it is luxurious! 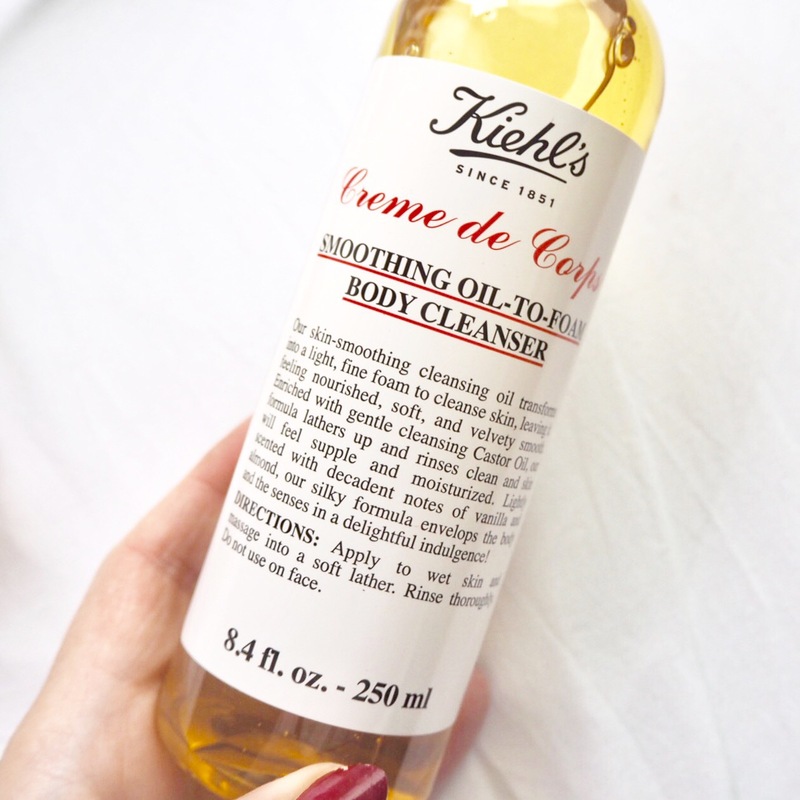 The oil itself is thick and creamy, and smells absolutely divine. Oh dear god, I could smell it for hours it’s that good! 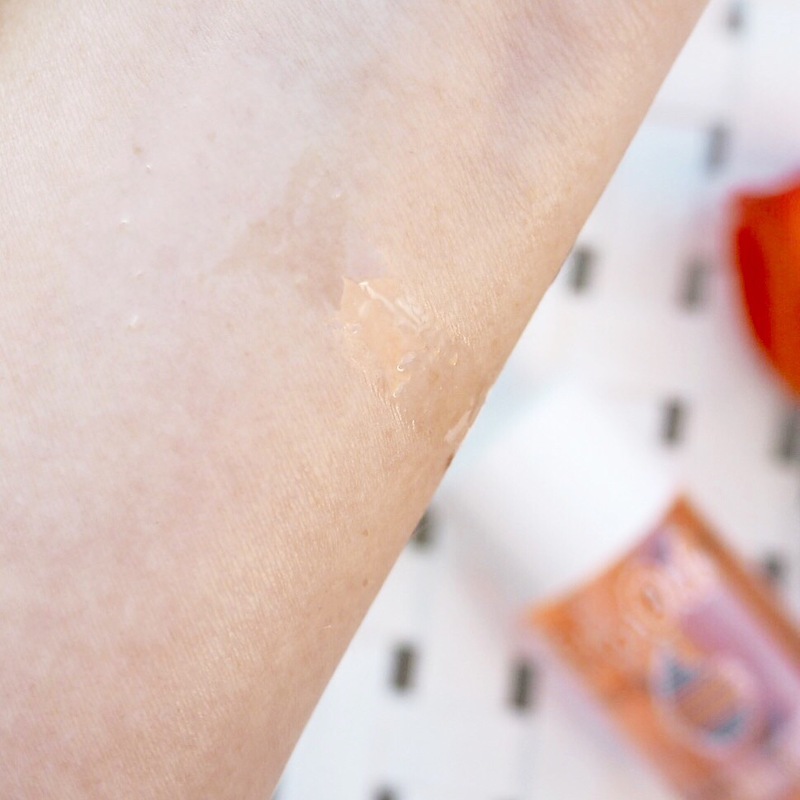 When you apply it, the water from your shower turns the oil to a rich foam which makes it so easy to lather on the skin and you can feel your skin becoming softer and smoother by the second. 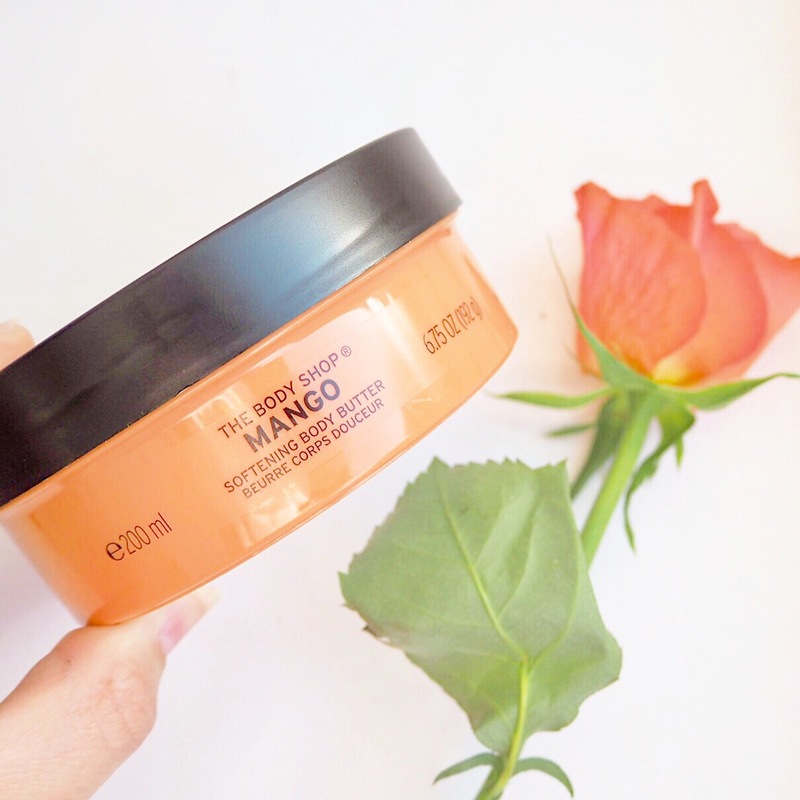 The blend of almond and vanilla gives it a delicious sweet smell, and Grapeseed and Castor oil help to bring back moisture to your skin to leave it very smooth. 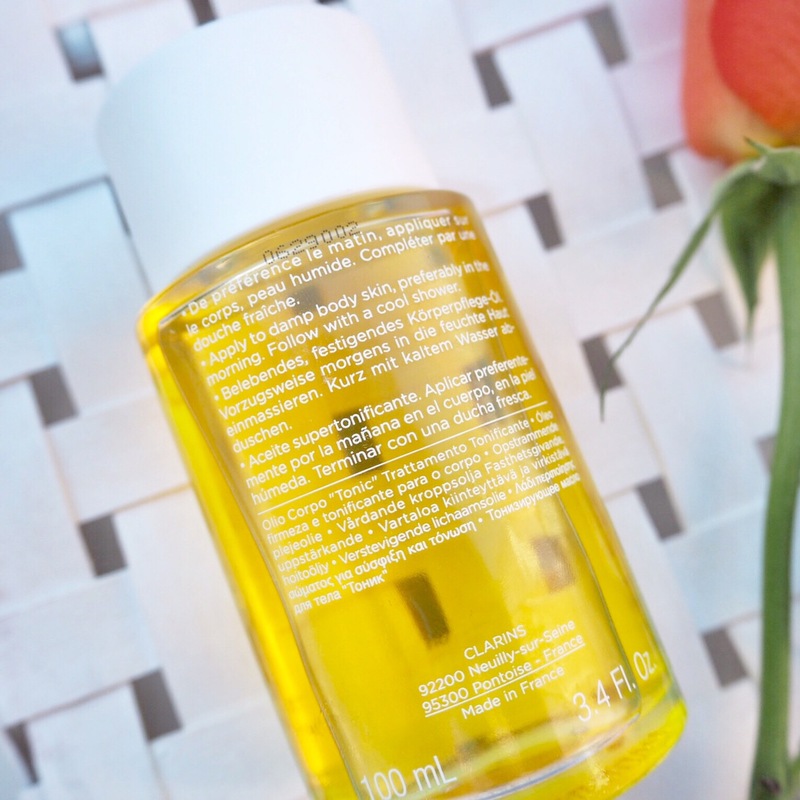 Because of the rich lather that you get, you really only need a small amount of oil which was probably the best surprise of this whole product. 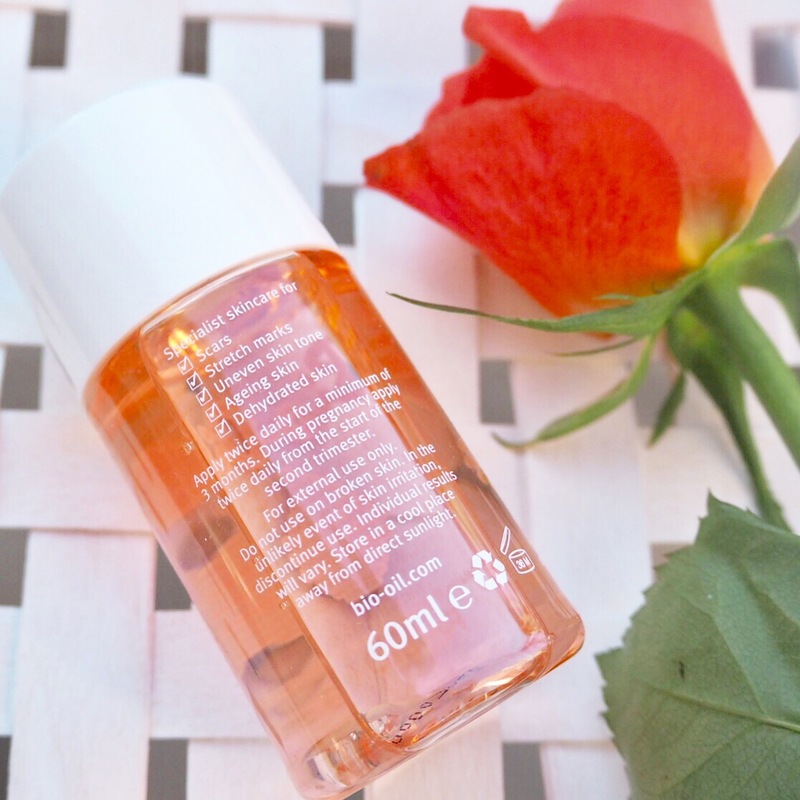 I’m using it a month now and I’m still on my first bottle which for me, is always a sign of a good oil. It’s not cheap at €31.50 for 250ml, but to me it’s worth every penny as I’ve never used a shower oil like it. 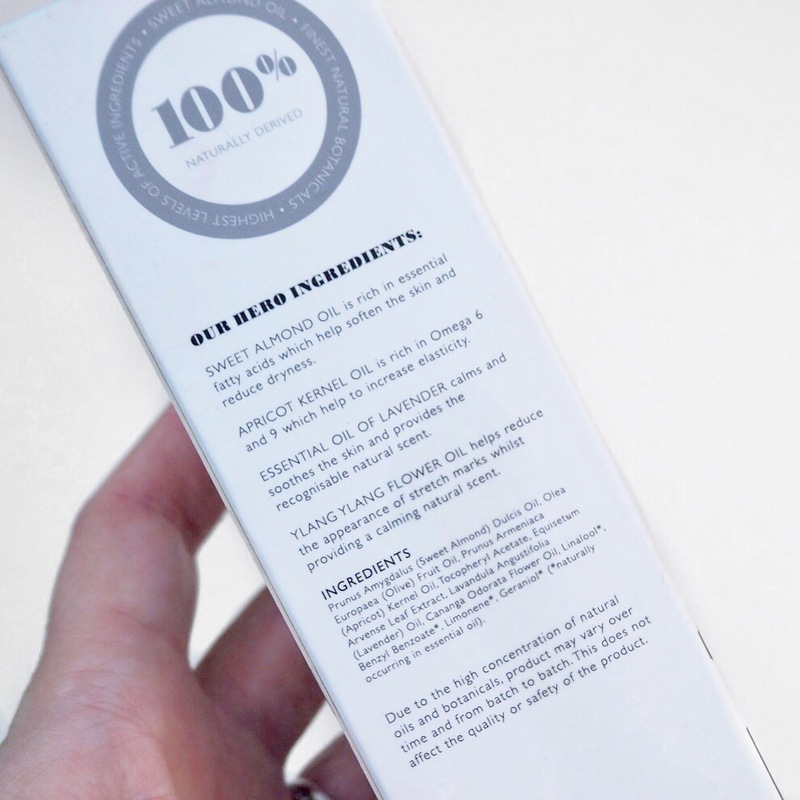 My skin feels amazing every time I use it, and it’s definitely made a massive difference to the dryness. I’ve also found that I need to apply much less moisturiser on afterwards which has never happened me before so this one is going to be another staple product for me even when I’m not pregnant anymore. I just love it! I bought mine in the Kiehl’s shop in Dundrum Town Centre, but it’s also available from Debenhams in store or online either. 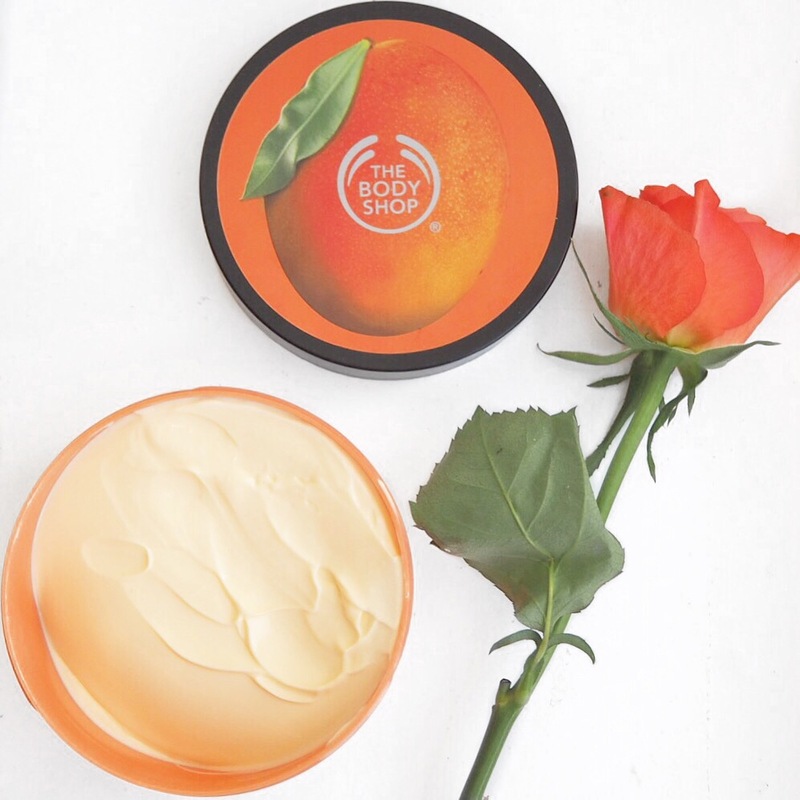 I’ve been using The Body Shop Body Butters for years now and they never let me down when my skin needs an injection of hydration. 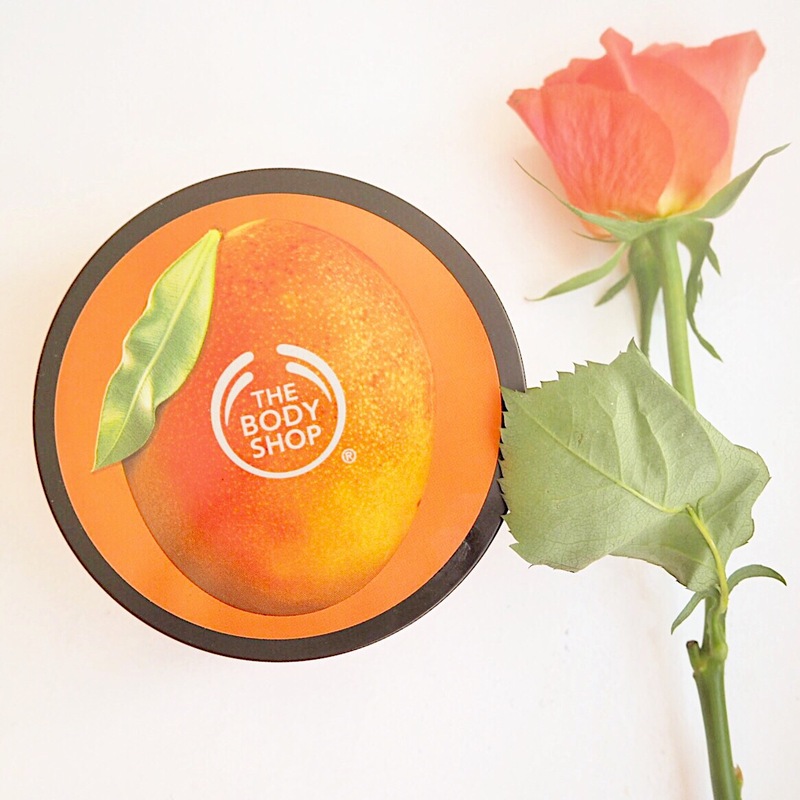 There are several different scents and they always release some limited edition ones at Christmas, but I always come back to either Mango or Shea Butter which are my absolute favourite. 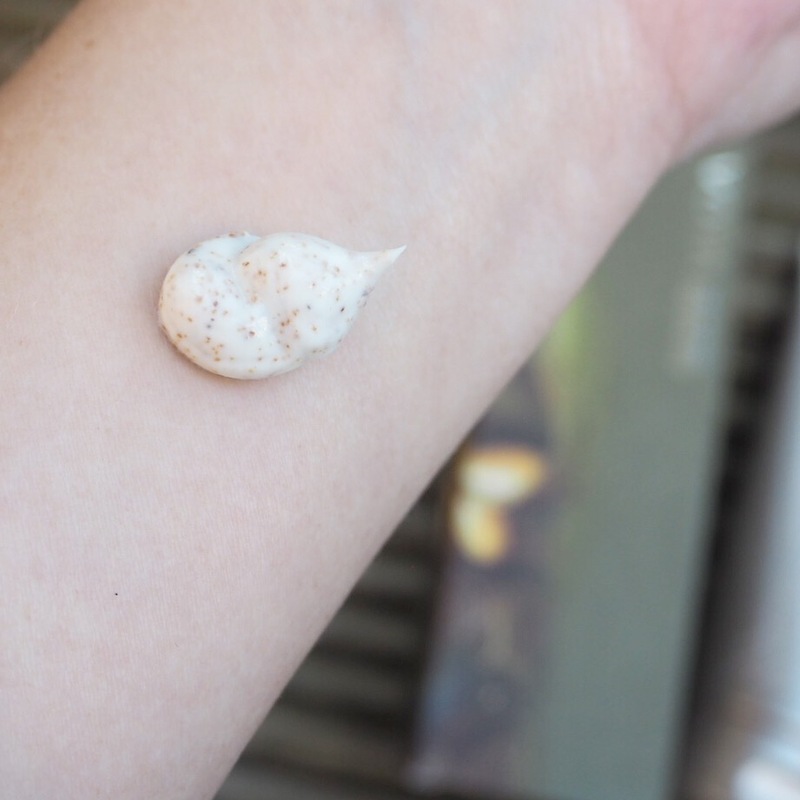 The butter itself is quite thick so you’d be forgiven for thinking that you need a lot of product, but because it is so creamy, you really only need a small amount as it is very easy to blend and apply, and goes much further than you expect. All their body butters are made using community trade Shea Butter, and their oil is organic so it’s very pregnancy friendly. 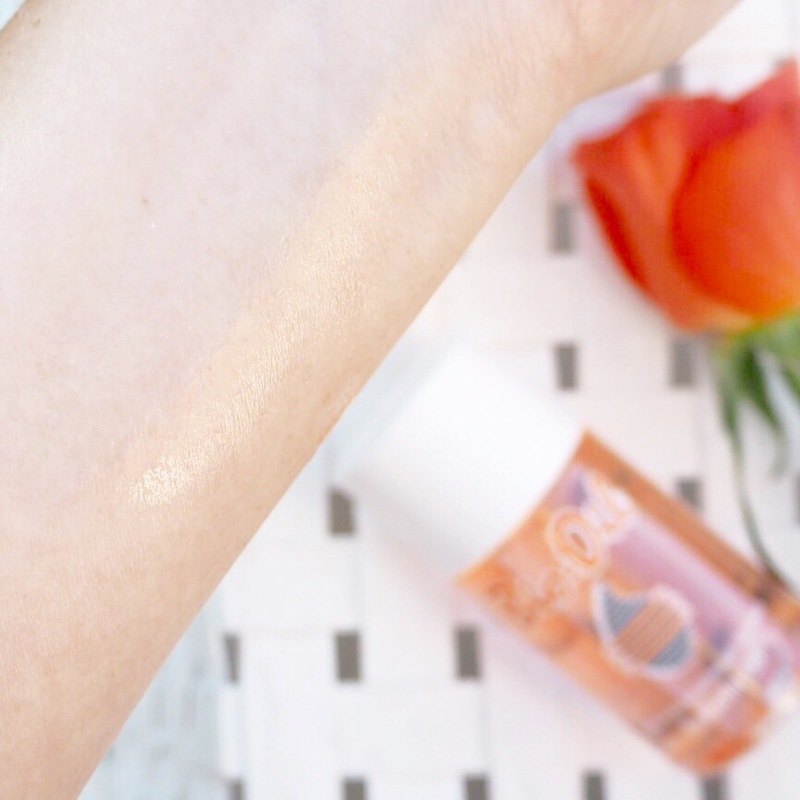 That combined with the 24 hour hydration promise (which really lives up to its claim for me), means your skin feels so soft all day. I tend to apply this once a day at nighttime, and I love how soft my skin still feels in the morning when I wake up. On a very dry skin day, I’ll also apply in the morning but I find I don’t need to do that much anymore at all because my new skincare routine is working so well for me (so far anyway!). Another great thing about these is the price point. They cost €20 for a 200ml tub, and last you a good month or two depending on how often you use. 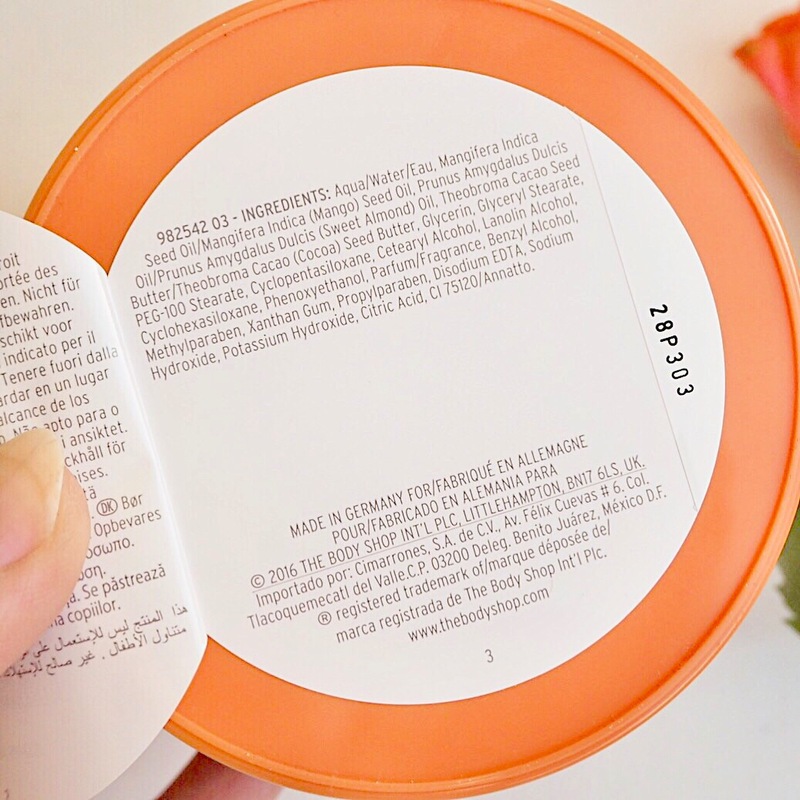 Though that might seem a little pricey compared to other body lotions or moisturisers out there, believe me, this is worth the money because it will last. 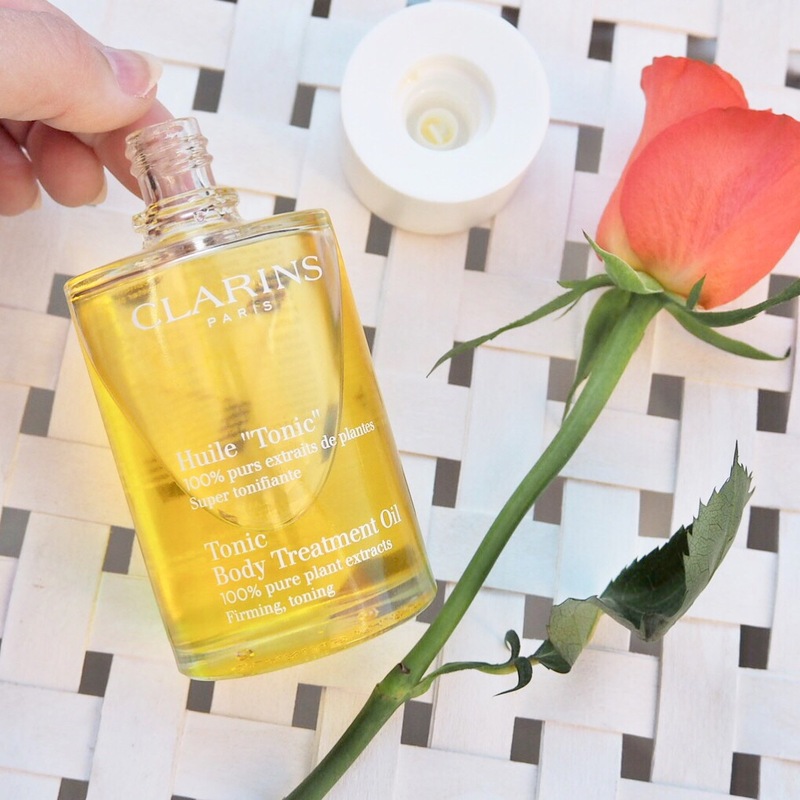 When the lovely ladies in Clarins heard I was pregnant, they very kindly sent me a bottle of their Huile Tonic body treatment oil to try and when I opened it, it was quite honestly, love at first scent! 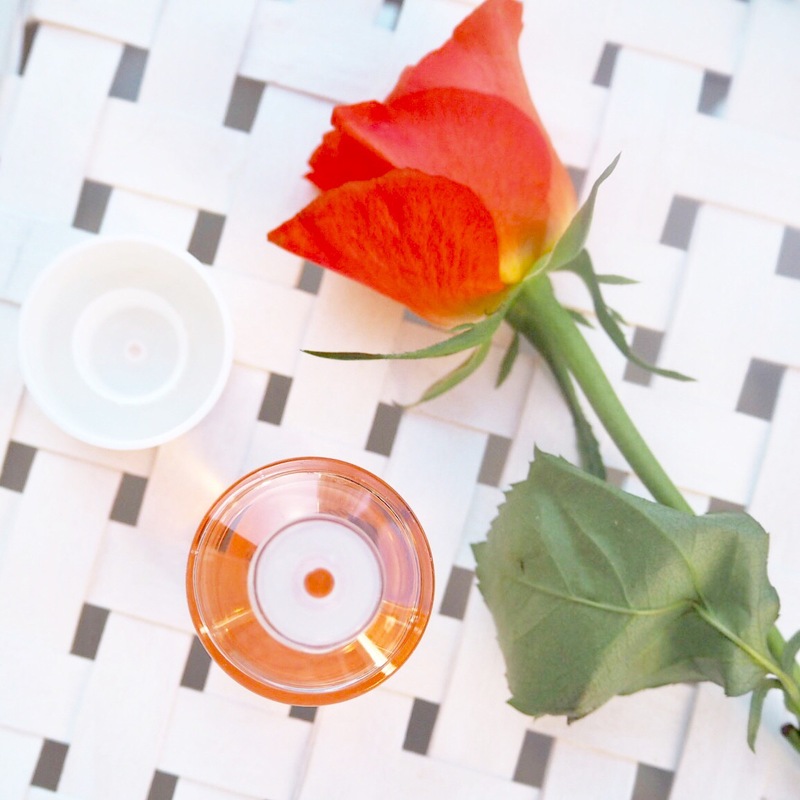 I’m a sucker for a gorgeous scent and it was the first thing that struck me about it – it just smells so good. 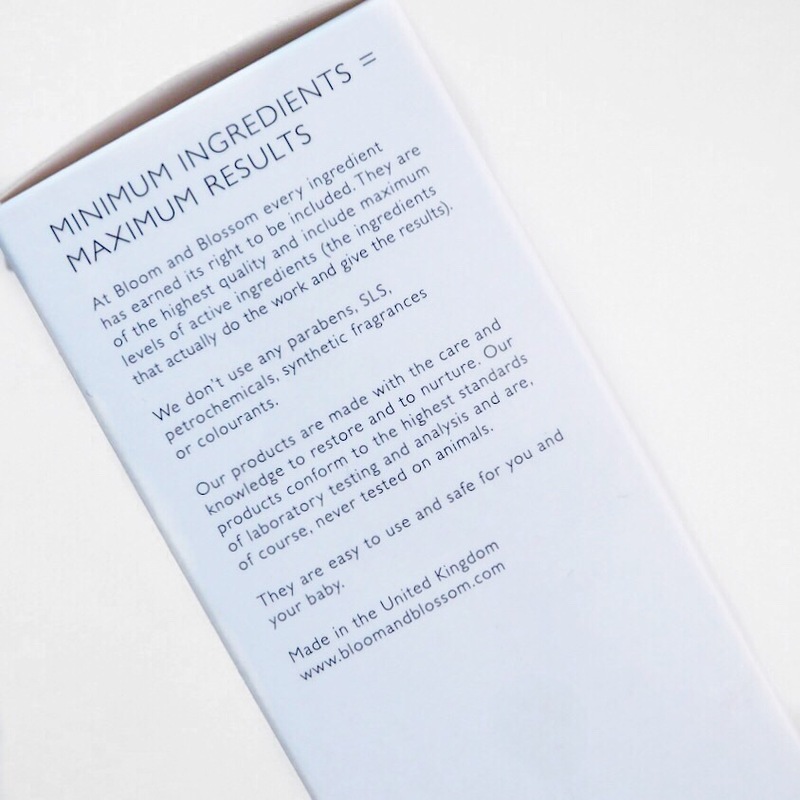 It is made from 100% pure plant extract and the combined mix of mint, rosemary and geranium smells divine! These ingredients are also great for helping to firm the skin and improve elasticity, while hazelnut oil keeps the skin moisturised, hydrated and feeling super soft. 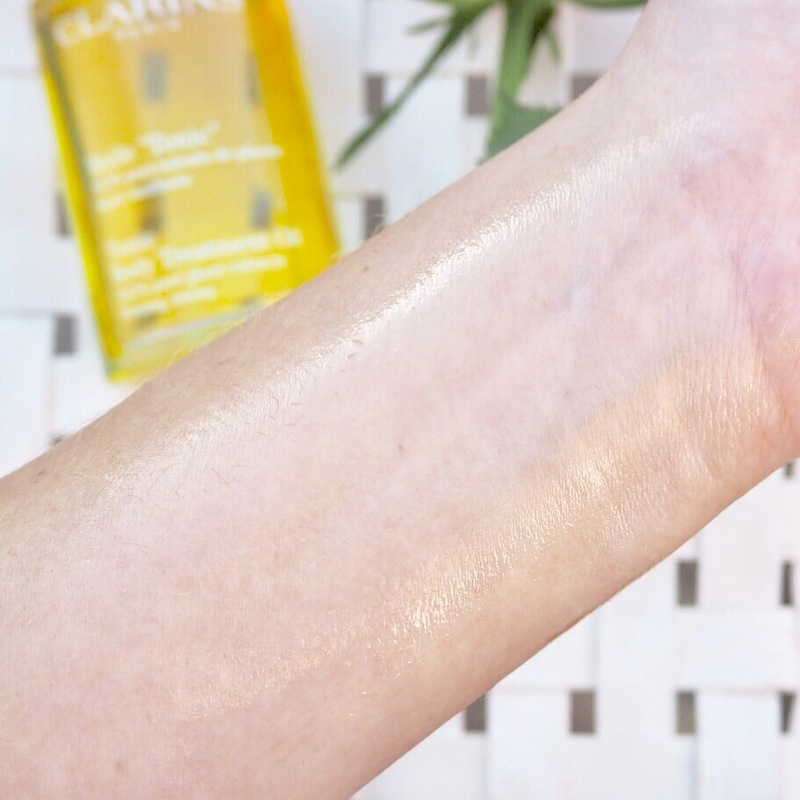 The oil is thick in consistency and I only apply it at nighttime because it takes a good bit of time to properly soak into the skin. 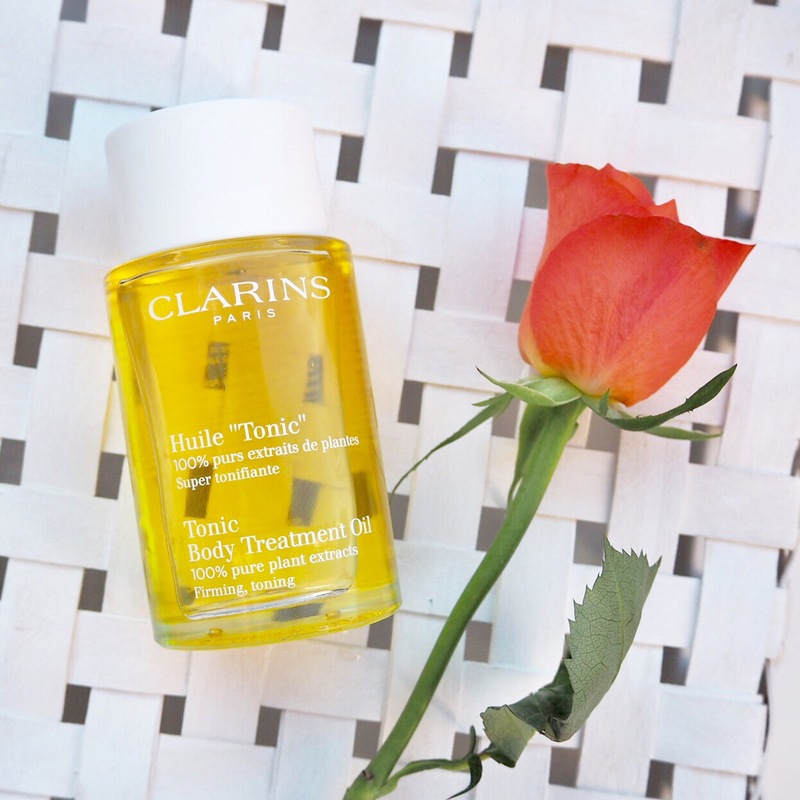 I’ve found it works best when I have five to ten minutes to let the excess oil dry – that way you don’t lose any of the product on your pyjamas! I’m now on my second bottle of this which I bought recently, but the only downside with it is the price point. It’s quite spendy at €47, so it’s not going to be for everyone, and because of how pricey it is, I’ve gone from using it every evening to every few days so it doesn’t run out as quickly as the first bottle! Although it’s pricey however, it’s been worth every penny as it’s definitely helped to keep my stretch marks at bay; they are growing and there’s no stopping them, but so far they are quite light in colour and I don’t have too many which is good enough for me! 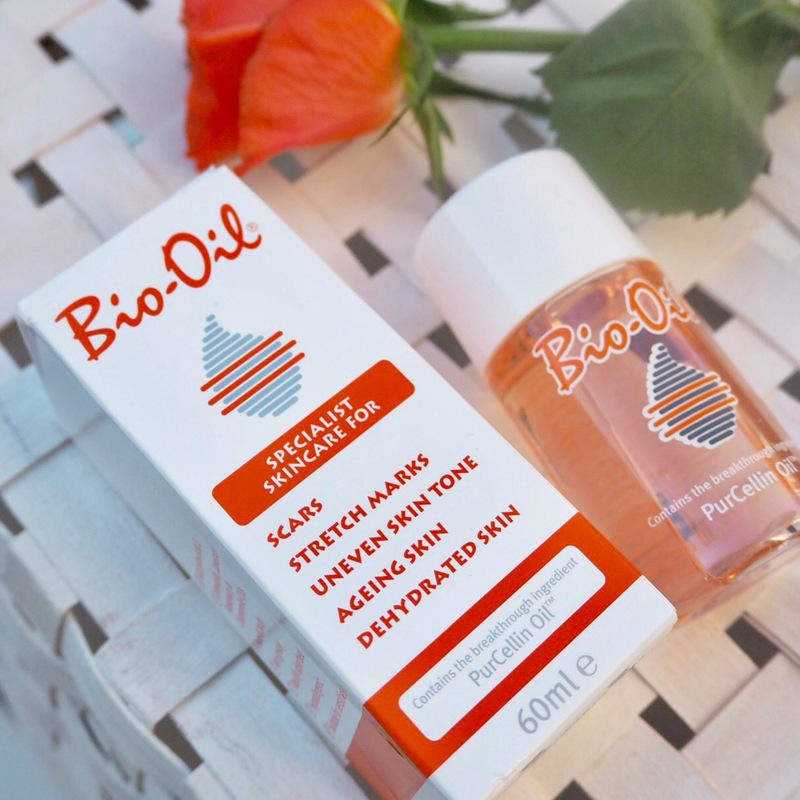 Of all the products I’m using, this is definitely my ‘treat’ product, so for the days I don’t use it, I’ve turned to Bio Oil which has been my saviour many times even before pregnancy. 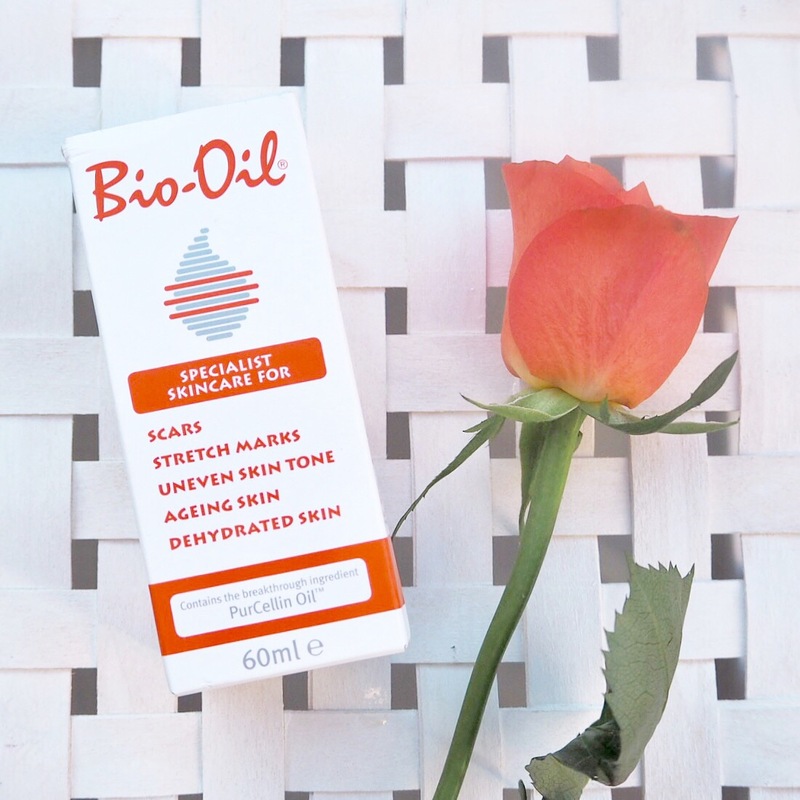 For years I’d heard that Bio Oil was the best product to use for scars and stretch marks, and I can really vouch for its effectiveness. A few years ago, I had to have surgery on my wrist and afterwards, used Bio Oil on my scar every day to help it heal. While my scar didn’t disappear altogether, it dramatically faded, all because I was so strict about using it every day. It’s been a similar story with my growing tummy. 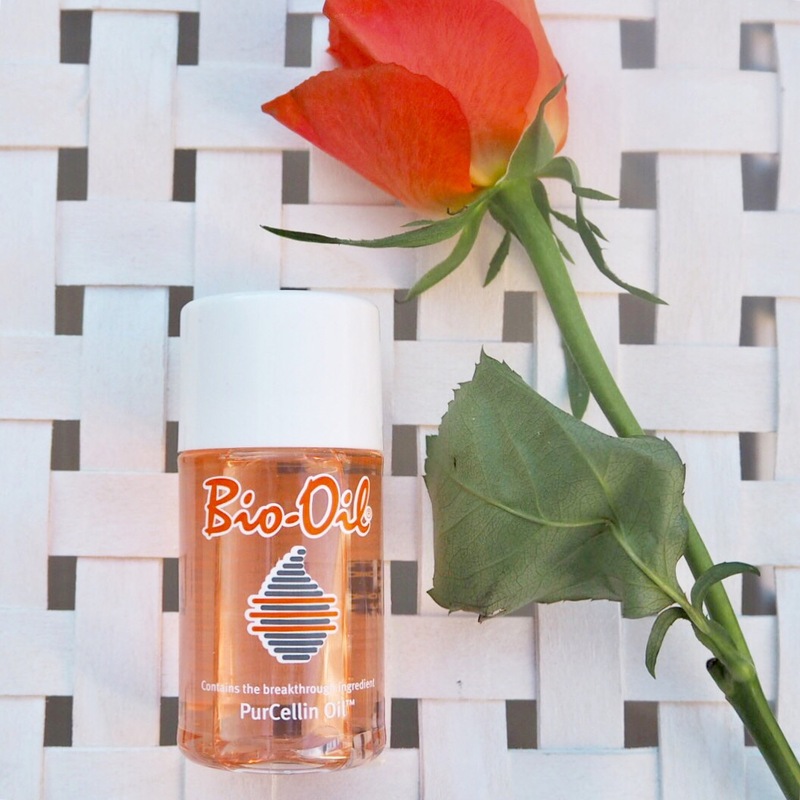 Though people are telling me my bump is still quite neat, the stretch marks have slowly started to show themselves like I mentioned above, so I am lashing on the Bio Oil every day to help keep them at bay. 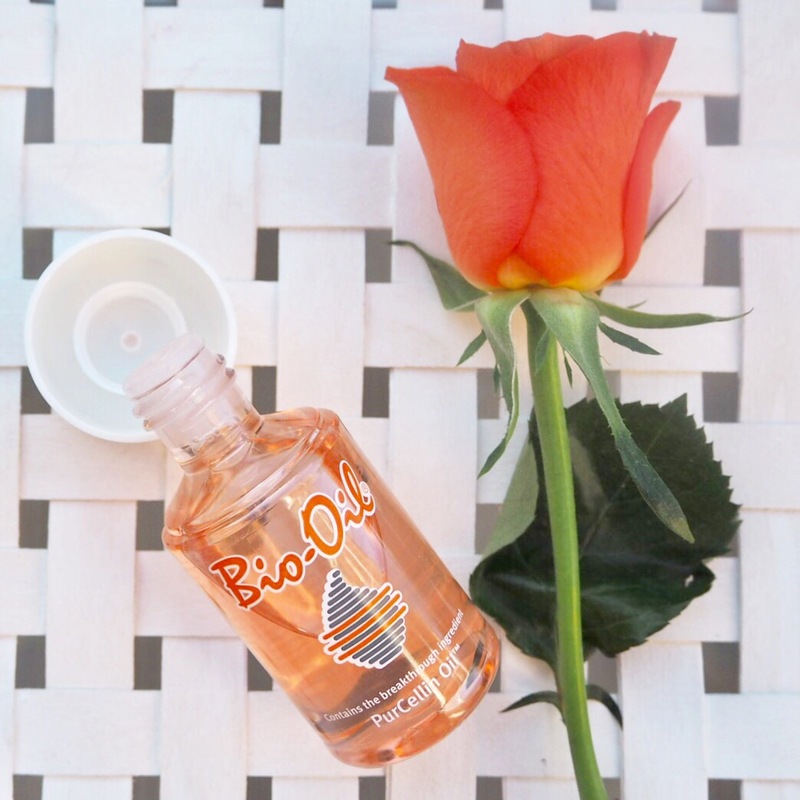 Bio Oil has some incredible ingredients including Calendula oil which is known for its skin healing properties, as well as Lavender and Rosemary Oil, which leave your skin feeling incredibly soft and hydrated. 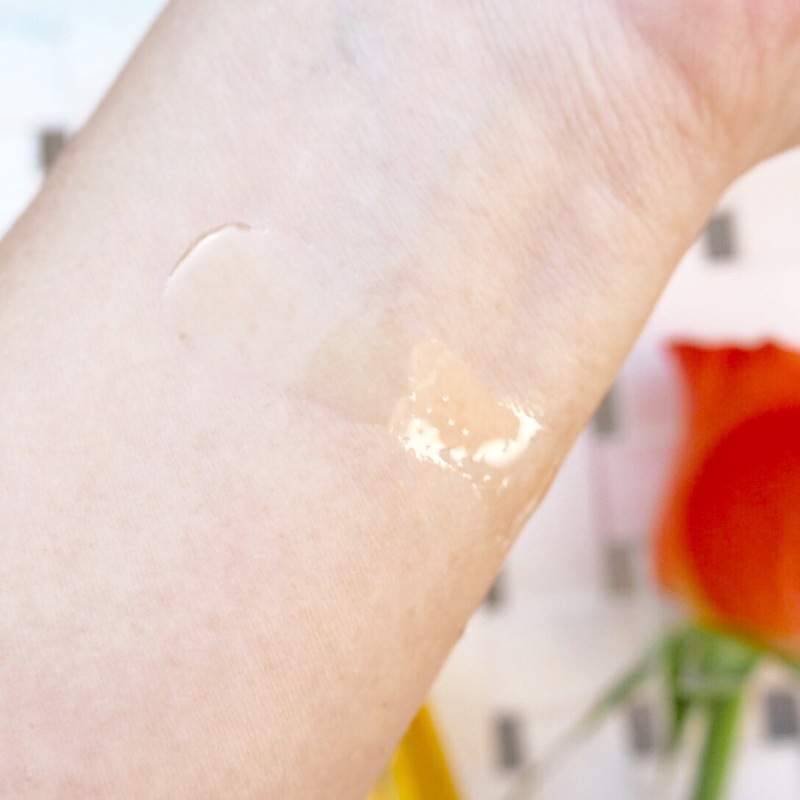 It again is quite a thick oil, but blends so well into the skin, and has no greasiness at all. 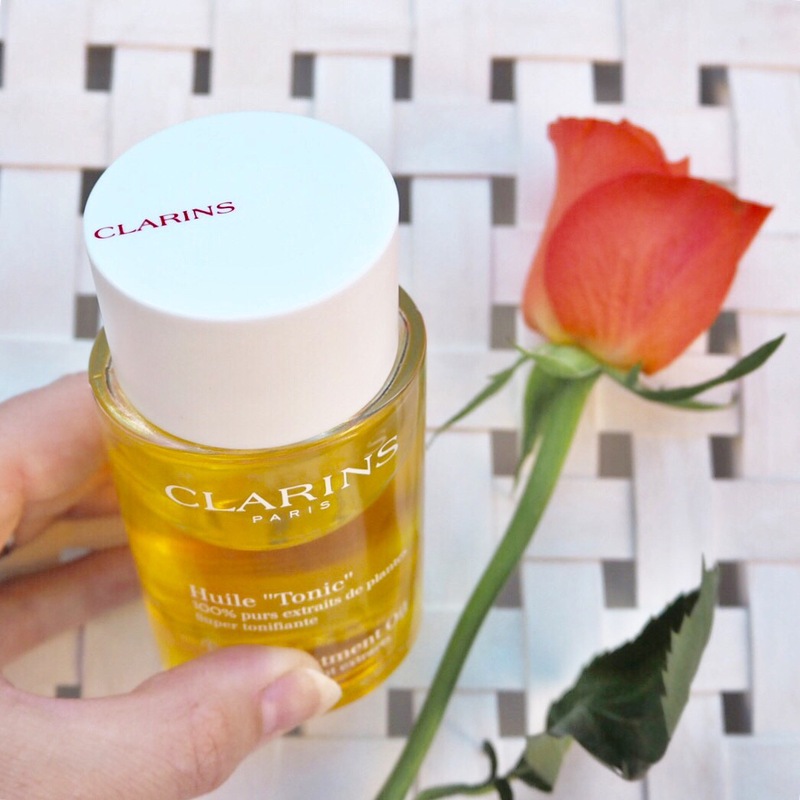 Unlike the Clarins oil, this actually dries in quite quickly, so it’s more like a dry oil in texture and it also has a gorgeous smooth finish. 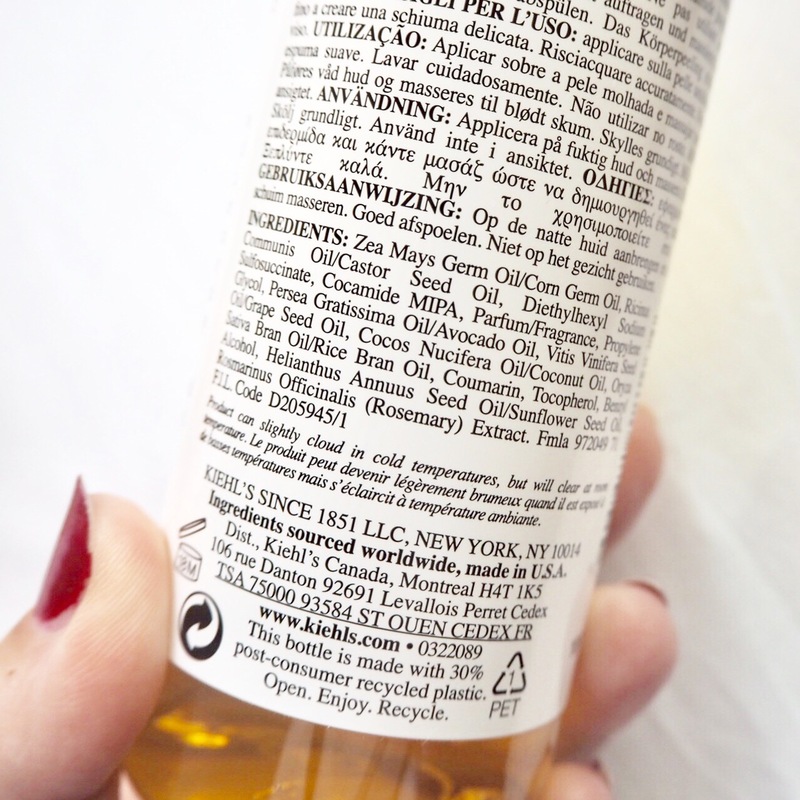 It’s also one of the very few oils that I don’t wash my hands after using because I love how it feels on my hands too. I honestly think this is the one beauty product that everyone should have in their home because it’s so good for a multitude of things like scrapes and sunburn, as well as stretch marks, and without a doubt, it works too. The bottle I have is the 60ml bottle and costs €12.99. I get mine in Boots but nearly every pharmacy or supermarket sell it so it’s very easy to pick up. It also comes in a 125ml and 200ml bottle. Just one thing to note about these oils is; while they help to keep stretch marks from getting too bad during pregnancy, they will also help to make the stretch marks disappear quicker after pregnancy. Of course some will remain, but anything you read about stretch marks will tell you that if you keep your skin hydrated and soft with the right products during pregnancy, then they will definitely fade better afterwards. Obviously, I still have a while to go yet before I can let you know whether that’s worked for me or not, but don’t worry, I’ll keep you posted! Well, there you have it; my full body pregnancy skin routine! I know it’s been a long post, but I really hope it helps you if you’re in the same boat as I was. But more importantly don’t forget, all these products will be equally as amazing on your skin even if you’re not pregnant. So if you’re in the market for some new skincare, then I definitely recommend all of the above! < Previous Simply Lippy Challenge Day 308 | Bourjois Rouge Velvet The Lipstick in Shade 06, Abrico’dabra! Epic post there! Maybe an unexpected kind of question, but what are your thoughts on avoiding peanut butter in terms of your skin? Have you found it to matter either way? Hi Lauren, I’m afraid I don’t eat peanut butter so I couldn’t comment either way! 😊 I’ve found gentle, sensitive products to be best as they aren’t too harsh on the skin.